Colm Toibin, writer of the blasphemous play The Testament of Mary, received a Tony nod and a closing notice one after the other. In a bizarre re-writing of history, Toibin creates a one-person play, starring Fiona Shaw portraying the Mother of God, criticizing Church doctrine. It takes place after the crucifixion of Our Lord, and she thinks Jesus’ friends were a bad influence, doubts His divine powers and ultimately does not believe His crucifixion was worth it. Upon hearing of Toibin’s blasphemous play, some 80 indignant Catholics led by the American Society for the Defense of Tradition, Family, and Property (TFP), protested outside of the Walter Kerr Theatre against the blasphemous play during its first preview, on March 26. An even larger crowd of more than 300 protested on opening night, April 22. The final showing was just over two weeks later, over a month earlier than originally announced. With only 43 performances and bad ticket sales, the American public is fed up with blasphemy. 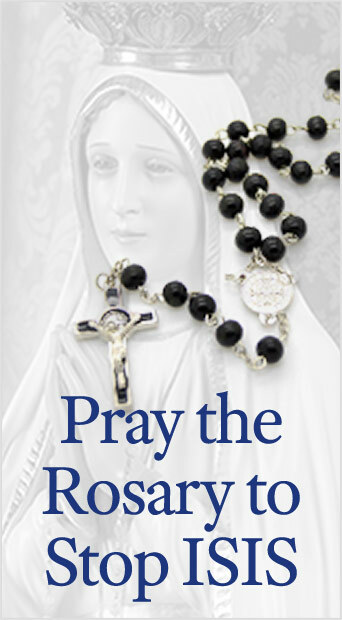 Though the integrity of the Blessed Mother of God was attacked once again, Catholics were not discouraged. On the contrary, they opposed this “anti-devotion” to Mary with true devotion to Mary. 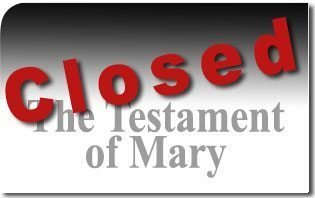 In an interview TFP member Mr. John Ritchie said “This blasphemy will not dishearten us but increase our devotion to Mary, hence, Colm Toibin will not get the result he expects.” Thanks to the protest and prayers of many faithful Catholics, the blasphemous play run on Broadway is over. This entry was posted in Anti-Blasphemy and tagged blasphemy, Broadway, Catholic, close, Colm Tóibín, Mary, play, protest, Testament, TFP, Walter Kerr by Gary Isbell. Bookmark the permalink.